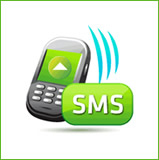 The new generation Business Messaging System, is the ultimate in SMS revolution that sends out individualized, Bulk text/Flash messages directly from your PC to the recipient without any mobile phone. Intimate parents for the time & date of the interviews or the results of the interviews. This way the crowds of aspiring candidates can be reduced and the school administration is rid of answering hundreds of queries. Most effective communication compared to Phone calls, e-mails and Fax.